Spending any time in the central Oregon area and you cannot help but find many opportunities to explore awe-inspiring geologic wonders, waterfalls among them. While we were having fun in the area this summer near La Pine we decided to check out any waterfalls we came across, spent one whole days visiting four of them and even were able to camp for about a week within 50 meters of one. Once we knew we were near the end of our stay in the area we stepped up our schedule to get in as many adventures as possible in the time remaining. 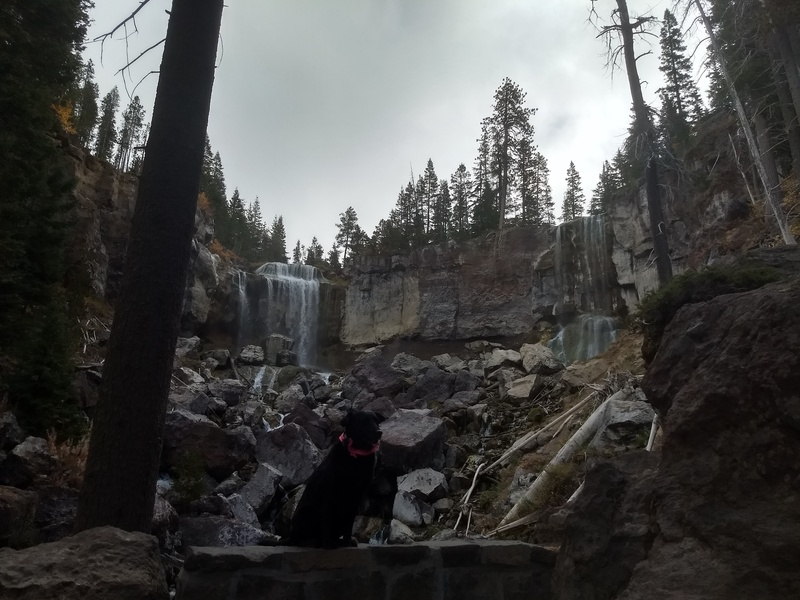 Looking at our map of the area we noticed a waterfall only a few miles away from our camping spot and decided to take a quick trip to check it out. Had we been up for it we could have hiked the Peter Skene Ogden trail from our campsite about 6 miles each way and past several other, smaller waterfalls on the way but, time being of the essence we opted for driving. Getting close we passed the entrance station (closed at the time – not sure if for the day or the season) and stopped to take a quick picture at the entrance sign. When we arrived at the day use parking area we were lucky enough to be the only ones there and so we quickly hopped out of the Tacoma and walked over to the trailhead sign to peruse our options. Left Or Right? We Chose Both. 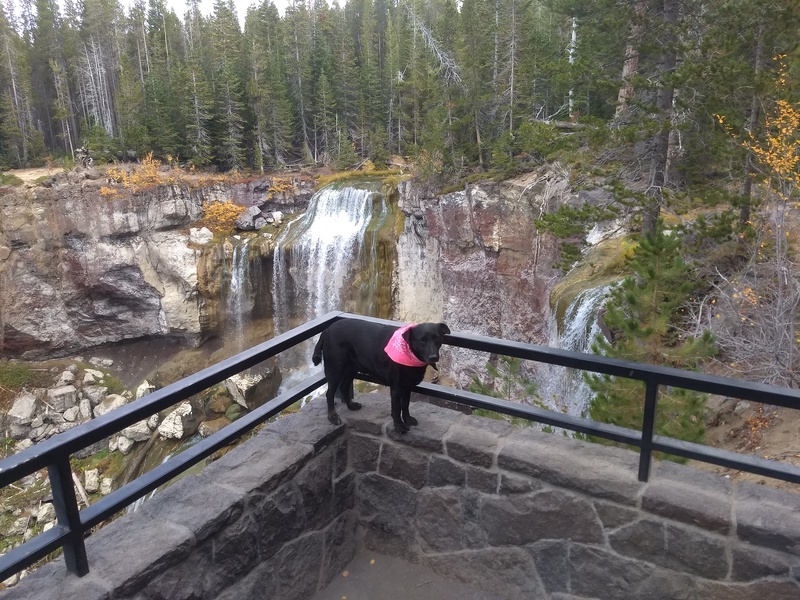 Wanting to see the falls from both above and below we decided to first get the short but steep .5 mile round trip hike to the lower viewing point out of the way and headed down the left fork of the trail. The path was loose dirt, covered in pine needles and not that stable. 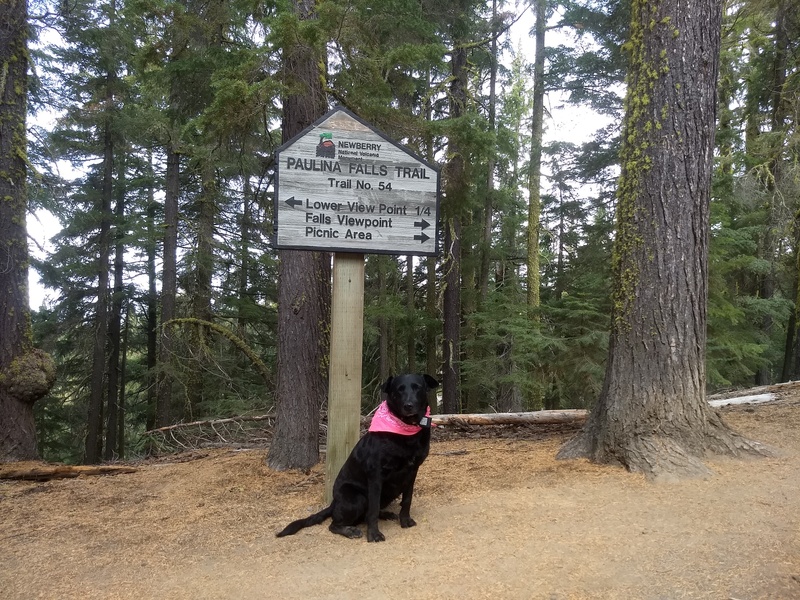 I was happy to have worn my capable and comfortable Keen hiking boots and Willow, of course, had her always-on 4-Paw Drive so we both made it down with no issue. Tumbling 80 feet down onto automobile-sized boulders below this double falls was once thought to be 200 feet further downstream until a massive flood about 2000 years ago moved the rocks and eroded the softer compressed volcanic ash back to where it sits now…and did so in just a few hours! About 20 cubic feet a second (cfs) or .57 cubic meters a second (cms for our Metric-using friends) of water flows over the falls now but scientists surmise that the flow quickly ramped up to 10,000 cfs (280 cms) during that short-lived flood event. Paulina Lake’s outlet also happens to be the lowest point along the rim of the Newberry Caldera so any substantial rise in water level increases the flow over the falls. No one is quite sure why that ancient, catastrophic flood happened but there are two main competing, though related theories. The first is that during a volcanic eruption of the Newberry Volcano a wall of rock and hot gasses slammed into Paulina Lake and created a tsunami that breached the lake’s eastern edge in seconds. The other option was that volcanic heat melted snow and ice in the area and the slow(er) rise in the lake’s water level eventually topped and wore down the natural earthen dam until it just let loose and dumped a large portion of the lake down Paulina Creek. So in either scenario the breach happened in seconds or a few hours and then the actual flood event took single digit hours to dislodge and move hundreds of thousands of metric tons of material and change the position of the falls back to where it stands today. Geology Rocks! After finishing with pictures and movies taken from the bottom vantage point we hiked back up the trail and towards the picnic area and upper viewing area. From the trailhead sign the upper viewing area is a mere 50 meters or so along a wheelchair-accessible path. There was a small, shaded area with picnic tables to the right and then a paved area to take in the views of the falls. Another quick movie of the falls from the upper viewing area. Once we arrived at the parking area this little adventure took all of 30 minutes. If you are a fan of waterfalls and geologic history or even just one of those things this is a quick and totally worthwhile stop if you ever find yourself in the area. 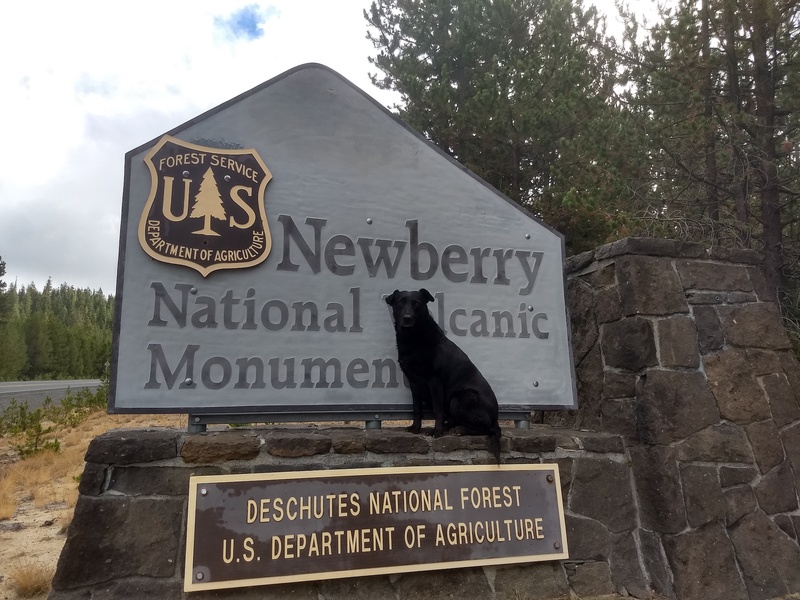 If you took a close look at the map at the top of this post you may have noticed several other areas of interest including Paulina Peak and the Big Obsidian Flow. Since this visit took so little time we also decided to visit those two sites as well.